DotBit Limited, a Maltese Registered Company with Office Address situated at: 48, Triq Stella Maris, Sliema, SLM 1765, Malta, which owns and operates the ‘OCNEX’ VFA Exchange Platform in Malta, hereinafter referred to as “DotBit Limited” or “OCNEX” or “company”, which term shall refer to and include its owners, its subsidiaries and affiliated companies, directors, investors, employees, officers, representatives, affiliates, or other related parties. ‘Dealing in Own Account’: refers to trading against proprietary capital i.e. the actual buying and selling from the company. ‘Dealing on own account’ can be done in two ways: via portfolio held in a Crypto-wallet or on a matched-principal basis. “Force Majeure” shall mean and include any cause arising from or attributable to acts, or events, beyond the reasonable control of OCNEX, including natural calamity, strikes, terrorist action or threat, civil commotion, riot, crowd disorder, invasion, war, threat of or preparation for war, fire, explosion, storm, flood, earthquake, subsidence, structural damage, epidemic or other natural disaster, calamity, attacks including through computer viruses, hacking, denial of service attacks, ransomware or other manmade disruptions or any law, order enactment, statutory direction, legislation, regulation, rule or ruling of government or any court of law or of a Government or regulatory authority. OTC’ means ‘over-the-counter’ or ‘off-exchange’ trading and is primarily conducted between two parties without the supervision of a VFA Exchange. ‘OTC Trading’ means ‘over-the-counter’ trading through an intermediary platform known as a ‘dealer network’. “User” or “Client” Persons availing of the OCNEX Services (as defined below), directly or indirectly, are referred to herein, as “Users”. Trading in Virtual Financial Assets on Crypto-OTC or VFA Exchange Platforms involves a high degree of risk to your capital. Virtual Financial Assets may not be appropriate for all investors and you should seek independent advice if necessary. Trading with Virtual Financial Assets may result in total loss of your investment. This agreement is between you (hereinafter known as ‘The Client or User’) and the VFA OTC Trading & Exchange Platform operator. (Operating the: VFA OTC Trading & Exchange Platform collectively known as ‘OCNEX’). As this is a legally binding contract, the Client is cordially requested to carefully read through this agreement and related notices before using any of OCNEX’s Services. By registering, accessing or using OCNEX Platform, the Client agrees to the ‘Terms and Conditions’ as laid out in this User Agreement. If any Client disagrees with this User Agreement, the client shall not proceed to initiate account registration with OCNEX and any of its services. To guarantee transparency and client-protection, OCNEX undertakes to have a robust and effective Anti-Money Laundering Policy. For all intents and purposes, OCNEX endeavors to adhere to the provisions of the Amendments to the Fifth Money Laundering Directive [Directive (EU) 2018/843]. OCNEX is committed to improve the global fight against Money Laundering and terrorist financing across the European Union. In this connection, the Company has endeavored to carefully ensure all of its internal AML Procedures are in accordance with the amendments to the Fifth Money Laundering Directive. It is to be noted that Virtual Currencies pose stern challenges to regulators due to their anonymity and sophisticated planning which could allow for potential misuse for criminal purposes. Considering the new amendments, entities providing services that are in charge of holding, storing and transferring virtual currencies [applicable for both cryptocurrencies and tokens] will be classified as new obliged entities [in terms of the existing Fourth Money Laundering Directive].Member States are under the obligation to transpose this colloquially termed ‘Fifth’ Money Laundering Directive into national law within an 18-month period. According to Article 47 paragraph 1 of the new Directive, Member States shall ensure that providers of Exchange Services between Virtual Currencies and FIAT Currencies, and custodian wallet providers, are registered, that currency exchange and check cashing offices, and trust or company service providers are licensed or registered, and that providers of gambling services are regulated. OCNEX endeavors to obtain all the necessary licensing accordingly in terms of all EU AML Guidelines. OCNEX reserves the right to modify or change the terms and conditions of the agreement at any time and at its sole discretion. OCNEX will provide notice of these changes by updating the revised Terms & Conditions. By registering to use a OCNEX’ Client Asset Account [for the Operation of both an VFA OTC Platform and VFA Exchange], the Client affirms that he/she is at least 18 years old individual, legal person or other organization with full legal capacity to enter into this User Agreement between you (i.e. The Client) and OCNEX. If the Client is not at least 18 years old, the guardian shall undertake all consequences resulting from your actions and OCNEX shall have the right to cancel or freeze your Client Asset Account in addition to filing claims against you and your guardian for compensation. Your eligibility to access OCNEX Services also depends on the country in which you reside. The content of this Agreement shall not be excluded from the laws of the country under which the user belongs. OCNEX maintains its stance that prohibited users are not to use or access OCNEX and any of its services/ platform. OTC TRADING – The OTC-Trading Platform Service of OCNEX provides an online virtual financial asset trading platform via a sophisticated OCNEX platform for products commonly known as crypto-tokens, digital tokens or cryptocurrencies. 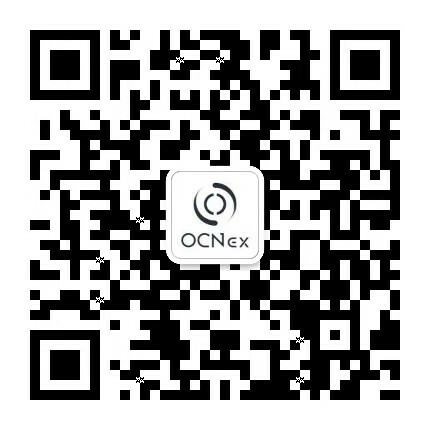 When a user enters into the OTC-Trading Platform Service on the platform, the user acknowledges and consents that he/she is transacting with OCNEX as a counterparty, henceforth meaning that for all intents and purposes, OCNEX is dealing on own account and the prices are set by OCNEX itself. VFA EXCHANGE- The VFA Exchange Service of OCNEX provides an online virtual financial asset trading platform (crypto to crypto, fiat to crypto, and crypto-fiat) for products commonly known as crypto-tokens, digital tokens or cryptocurrencies. When a user enters the VFA Exchange Service on the platform, the user acknowledges that he or she is transacting with other users of the platform as a counterparty and bids are matched on a non-discretionary basis with counterparty. In this connection, OCNEX provides the platform to match the orders and prices are therefore set by the market-forces of supply and demand. The Client must register and open a Client Asset Account with OCNEX and for exchanging Virtual Financial Assets (VFAs) prior to commencement of trading on the OCNEX platform. All Crypto-Wallets will be managed by the company. Client may request the withdrawal of the virtual financial asset (VFA) and eventually of the FIAT currency subject to certain terms and conditions. OCNEX strive to maintain the accuracy of information posted on its platform however it cannot guarantee the accuracy, suitability, reliability, completeness, performance or fitness for purpose of the content through the platform and will not accept liability for any loss or damage that may arise directly or indirectly from the content. Information on OCNEX’s Platform can be subjected to change without notice and is provided for the primary purpose of facilitating users to arrive at independent decisions. All users of OCNEX must understand that there are risks involved in the usage of OTC Trading Platforms & VFA Exchanges. OCNEX encourage all users to exercise prudence and trade responsibly within their own means. While OCNEX emphasizes online interface security to ensure the continuity and security of its services (announcements will be made in event of downtime/maintenance), it will be non-accountable to Act of God, Force Majeure, malicious targeted hacking, terrorist attacks and other unforeseen circumstances. OCNEX reserve the right to cancel, rollback or block transactions of all type on its platform in event of abnormal transactions or its internal AML policy. OCNEX will not ask for any password or PIN from its users nor ask users to transfer funds that are not listed on its OTC-trading or VFA Exchange platform. By using OCNEX and any of its services, the Client declares that all information to OCNEX in connection with these Terms & Conditions are true, accurate and complete. With registration of a Client Asset Account on OCNEX, the Client agrees to share personal information requested for the purposes of identity verification. This information is used specifically for the detection of money laundering, terrorist financing, fraud and other financial crimes on the OCNEX platform and is fully compliant with recent amendments to the Fourth Money Laundering Directive issued by EU. parliament specifically pertaining to Beneficial Ownership, Transparency and KYC regulations). OCNEX endeavors to retain and obtain this personal information in accordance with GDPR. In addition to providing this information, to facilitate compliance with global industry and government standards for data retention, the Client agrees to permit OCNEX to keep a record of such information for the lifetime of your account plus 10 (ten) years beyond account closing. The Client also authorizes OCNEX to make inquiries, either directly or through third parties, that are deemed necessary to verify the Client’s identity or to protect the Client and/or OCNEX against financial crimes such as fraud, etc. All relevant Client Deposits shall be kept separate from money belonging to OCNEX in a Client Asset Account, in accordance with applicable law and regulations, unless and until such amounts are returned to the Client, become due and payable to OCNEX. In accordance with this Agreement or are otherwise paid away or transferred in accordance with applicable law and regulations. By accepting the above-mentioned Terms and Conditions, the Client hereby grants to the company the Authority to open and establish a ‘Client Asset Account’ and the Client agrees to grant the company the right to ‘control’ assets [including ‘VFAs’ and ‘Money’] as defined in the ‘Preliminary’ part of this Agreement. OCNEX may adhere to strict KNOW YOUR CUSTOMER (KYC) policy. Please refer the KYC Policy. OCNEX may do remote know your customer (KYC) procedure and video on boarding. This Mandatory Verification setup may be created by any authorized representative of (such as a third-party KYC Service Provider) possessing all the relevant and necessary credentials to conduct the KYC/Due Diligence compliance. The Client is bound to follow ALL on-screen instructions and adhere to ALL requirements that emanate from the on-boarding accordingly. AUTHENTICITY & SELF-RESPONSIBILITY OF IDENTITY INFORMATION. ‘Client Asset Account’ Usage Requirements & Registration. All users must register for a OCNEX Client Asset Account before using the site via our standard Application procedure. To register for an account, the Client must provide his/her real name, email address and required KYC documents. Depending on certain conditions and in our sole discretion, we may refuse to open an account for you. No Orders can be executed until a Client Asset Account is opened and cleared funds have been deposited in accordance with this Agreement. Where OCNEX is required under applicable law and regulations to report transactions with the Client to a competent authority or otherwise, the Client must obtain and provide OCNEX with any information as OCNEX may require determining the Client’s national client identifier. The Client shall not be permitted to place Orders unless and until it has provided the information required. In order to open a Client Asset Account, the Client must fully complete the registration process. OCNEX is obliged to carry out all the searches and inquiries that OCNEX deem to be appropriate to assess the Client’s Valid identity and/or to carry out any anti money laundering controls which may be required in terms of the applicable law. This information may be also used for the prevention of money laundering or terrorism financing as well as for the management of the Client Asset Account. The Client authorizes OCNEX to use the information to perform the above checks in relation to this Agreement. In providing this required information, the Client confirms that it is accurate and authentic. Post-registration, the Client must guarantee that the information is truthful, complete and updated in a timely manner with any changes. If there is any reasonable doubt that any information provided by you is wrong, untruthful, outdated or incomplete, OCNEX shall have the right to send you a notice to demand corrections, remove relevant information directly and, as the case may be, terminate all or part of OCNEX Service to the Client. The Client shall be solely and fully responsible for any loss or expenses incurred during the use of OCNEX Service if the Client cannot be reached through the contact information provided. The Client hereby acknowledges and agrees that he/she has the obligation to keep all information provided up to date if there are any changes. OCNEX may or may not accept the Application in its absolute discretion, including if the Client fails to pass the relevant appropriateness checks (whether the Client would like to proceed). If the Client application is accepted by OCNEX, the Client shall be notified of its Client Asset Account. The Client may only start trading and/or exchanging with OCNEX after the Initial Deposit is credited to the Client Asset Account and such deposit has been cleared. OCNEX shall be authorized to act upon any digital instructions transmitted by the Client. In this connection, OCNEX shall be entitled to carry out any instructions or Orders as per client’s instructions. The Initial Deposit and any additional funds deposited by the Client (together, Client Deposits) shall be credited to the Client Asset Account as the case may be. Any crediting or debiting of Client Deposits to the Client Asset Account is net of any bank fees, commissions or other charges or costs (including any applicable taxes, including withholding taxes) and you hereby expressly authorize OCNEX to make any such deductions. OCNEX may receive interest in respect of the Client Asset Account but will not pay any portion of such amounts to the Client. The Client hereby waives any right to receive interest on any positive balance of Client Deposits on the Client Asset Account. All Client Fiat Deposits shall be treated as ‘Client Money’ in accordance with applicable law and regulations. The Client Asset Account shall be denominated in EUR/USD/GBP/ any other currency determined by OCNEX (‘Base Currency’) by default. All gains, earnings, losses, costs and liabilities made or incurred by the Client under or in relation to any VFA or any Service provided by OCNEX or otherwise in connection with this Agreement (including any fees charged by OCNEX hereunder) shall be credited or debited to the Client Asset Account, as applicable. The Client hereby expressly authorizes OCNEX to deduct any such amounts from any Client Deposits held in the Client Asset Account by OCNEX on the Client’s behalf. there is an unresolved dispute between OCNEX and the Client in connection with this Agreement or any related contract in respect of such funds. OCNEX will only pay withdrawn funds to the Client Asset Account or payment method that the Client uses to fund their own Client Asset Account, unless the Client has notified a change in their payment details in writing in advance and this is in compliance with applicable law and regulations, in particular anti-money laundering controls. The Client shall make Client Deposits and submit withdrawal requests to OCNEX using the deposit or withdrawal function on the Platform. The Client shall be solely responsible for the safekeeping of the OCNEX Client Asset account and password/ PIN on his/her own, and he/she shall be responsible for all activities under the log-in, OCNEX account and password (including but not limited to information disclosure, information posting, consent to or submission of various rules and agreements by clicking on the Web App, online renewal of agreement, ). OCNEX will not be responsible for any loss or consequences caused by the Client’s failure to comply with the above terms and conditions. He/she will not constitute evasion of payable taxes or fees and will not violate this agreement or relevant rules. the Client is fully aware of the financial and other risks involved with trading under this Agreement and is willing and financially able to sustain a total loss of funds resulting from the trading and transactions entered into thereunder. the Client is not subject to a clearing obligation pursuant to the European Market Infrastructure Regulation (648/2012/EU) (‘EMIR’) and, for the purposes of EMIR, is either a non-financial counterparty (as such term is defined in EMIR) or an entity established outside the EU that, to the best of its knowledge and belief, would constitute a non-financial counterparty, if it were established in the EU. If the Client violates the foregoing promises and thereby causes any legal consequence, the Client shall independently undertake all of the legal liabilities in his/her own name and indemnify OCNEX from all actions, claims, or costs arising from such violation. The Client will not use any data or information displayed on the OCNEX Platform for commercial purposes without the prior digital/electronic consent of OCNEX. The Client consents to the OCNEX platform’s Compliance/KYC checks and procedures and under no circumstance may OCNEX refund any money or grant access to the platform before all necessary procedures have been vetted and consent is formally authorized for the Client to access the platform/service. Without prejudice to the aforesaid, any funds which are kept in the Client Asset Account will be ‘frozen’ until the Compliance procedure is completed and under no circumstance may they be ‘exchanged’ or ‘withdrawn’. If your alleged violation causes any losses to a third-party, you shall solely undertake all the legal liabilities in your own name and hold OCNEX harmless from any loss, fine or extra expenses. If, due to any alleged violation OCNEX incurs any losses, is claimed by any third party for compensation or suffers any punishment imposed by any administrative authorities, you shall indemnify OCNEX against any losses and expense caused thereby, including reasonable attorney’s fee. The Client acknowledges and agrees that the above representations and warranties have been a material inducement to the decision of OCNEX to enter into this Agreement with the Client. In case of any abnormal behavior, fluctuation or delay in transactions beyond OCNEX’s control then for such instances OCNEX is not liable for any obligation under this agreement. OCNEX reserve the right to resolve issues and disputes at its sole discretion. Some issues include infringement of others’ rights, violation of laws and regulations, abnormal trades and others not explicitly mentioned in the Terms. Users agree to bear the costs arising from the process of dispute resolution. Any dispute arising out of or in connection with this Agreement (a “Dispute”) shall be referred to and finally resolved by arbitration under the Arbitration Rules of the Maltese Arbitration Act [Cap. 387 of the Laws of Malta]. The Tribunal shall consist of one (1) arbitrator to be appointed by the Chairman of Malta Arbitration Center. The place and seat of the arbitration shall be at the Malta Arbitration Center, Valletta. The language to be used in the arbitration proceedings will be English. Any award of the tribunal shall be binding from the day it is made, and the parties hereby waive any right to refer any question of law and any right of appeal on the law and/or merits to any court. Judgment on the award rendered by the tribunal may be entered in any court of competent jurisdiction. Each party will pay its own arbitration fees due for any Dispute. If you prevail on any claim for which you are legally entitled to legal fees, you may seek to recover those fees from the arbitrator. For any claim where you are seeking relief, OCNEX will not seek to have you pay its legal fees, even if fees might otherwise be awarded, unless the arbitrator determines that your claim was frivolous. The parties agree to keep confidential all matters relating to the arbitration, including related court proceedings, to the greatest extent practicable. For purposes of this arbitration provision, references to the parties also include respective subsidiaries, affiliates, agents, employees, predecessors, successors and assigns as well as authorized Users or beneficiaries of the OCNEX Services. Nothing in this shall be construed as preventing either party from seeking conservatory or similar interim relief in any court of competent jurisdiction. If any provision of this is found unenforceable, the unenforceable provision will be severed, and the remaining arbitration terms will be enforced. OCNEX will provide OCNEX Service at an “as is” and “commercially available” condition and does not offer any form of warranty with regards to the Service’s reliability, stability, accuracy and completeness of the technology involved. OCNEX serve merely as a venue of transactions where coin-related information can be acquired, and coin-related transactions can be conducted. OCNEX cannot control the quality, security or legality of the coin involved in any transaction, truthfulness of the transaction information, or capacity of the parties to any transaction to perform their obligations under the rules. The Client must carefully consider the associated investment risks, legal status and validity of the transaction information and investment decisions prior to your use of the OCNEX Services provided. Release of OCNEX Liability: If you have a dispute with one or more users of the OCNEX Services, you agree that neither we nor our affiliates or service providers, nor any of our respective officers, directors, agents, joint ventures, employees and representatives will be liable for any claims, demands and damages (actual and consequential) of any kind or nature arising out of or in any way connected with such disputes. OCNEX shall not be liable for any Loss caused to the User due to discontinuation of any cryptocurrency that is being offered through the OCNEX Exchange Services. OCNEX shall not be liable for any disruption of service, whereby the User is denied access to their cryptocurrencies, including those stored on the User Account. OCNEX shall not be liable for any Loss caused to the User through loss of any cryptocurrency stored on the User’s Client Asset Account for any reason whatsoever, save and except due to a willful and malicious commission or omission by OCNEX directly resulting in such loss. OCNEX shall not be liable for any discontinuation, alteration, suspension or termination of any part of the OCNEX Services caused or occasioned any Force Majeure event or any change in applicable Law with respect to cryptocurrencies. User shall not be entitled to any damages for any reason whatsoever including for consequential or compensatory damages against OCNEX for any reasons including suspension, cancellation or termination of the User Account or for cessation of OCNEX Services. The User shall only be entitled to refund / recovery of the cryptocurrencies credited to the User Account, subject to deductions towards dues owed to OCNEX and other legal, regulatory or statutory dues or those stipulated under applicable Law, and to the permissibility of such refund or recovery under applicable Law. In the event that any cryptocurrencies stored in any User Account are seized, or OCNEX is unable to access or return the same to User, OCNEX shall not be held liable or responsible for the same. The User is cautioned to avail of the OCNEX Services subject to the above risk. At no point in time will OCNEX, its directors, shareholders, employees, representatives, officers, affiliates or assigns be held liable for any Claims whatsoever for cessation of services or termination of any part of the OCNEX Services or any disruption with respect to access to any User Accounts. All Claims shall be limited to the cryptocurrencies lying in the relevant User Account, subject to the above-mentioned conditions. THE MAXIMUM CUMULATIVE LIABILITY OF OCNEX IN ANY EVENT, FOR ANY CLAIM, DAMAGES, TORT SHALL BE LIMITED TO THE CRYPTOCURRENCIES ACTUALLY RECEIVED FROM THE USER, AS CONSIDERATION OR FEES FOR THE SERVICES RENDERED BY OCNEX IN RELATION TO THE APPLICABLE TRANSACTION TO WHICH THE CLAIM RELATES. IF THE CLAIM DOES NOT RELATE TO ANY TRANSACTION IN PARTICULAR, THEN OCNEXS MAXIMUM CUMULATIVE LIABILITY SHALL BE LIMITED TO THE CRYPTOCURRENCIES ACTUALLY RECEIVED FROM THE USER, AS CONSIDERATION OR FEES FOR THE SERVICES RENDERED BY OCNEX IN RELATION TO THE TWO TRANSACTIONS IMMEDIATELY PRECEDING THE DATE ON WHICH THE CLAIM IS MADE BY THE USER. No Liability for Breach- OCNEX will not be liable for any breach of the Agreement where the breach is due to abnormal and unforeseeable circumstances beyond our control, the consequences of which would have been unavoidable despite all effects to the contrary, nor are we liable where the breach is due to the application of mandatory legal rules. anticipated trading profits and / or any actual or hypothetical trading losses, even if we are advised of or knew or should have known of the possibility of the same. (v) any loss or damage whatsoever which is in excess of that which was caused as a direct result of our breach of this Agreement (whether or not you are able to prove such loss or damage). We detect unauthorized access to the Client Asset Account. We are required to do so by a court order or command by a regulatory/government authority. Use of your Client Asset Account is subject to any pending litigation, investigation, or government proceeding and/or we perceive a heightened risk of legal or regulatory non-compliance associated with your Account activity. We take any action that may circumvent our controls such as opening multiple Accounts or abusing promotions which we may offer from time to time. any other circumstances where OCNEX deem it should terminate the services. Should the Client Asset account be terminated, the account & transactional information required for meeting data retention standards will be securely stored for ten (10) years. In addition, if a transaction is unfinished during the account termination process, OCNEX shall have the right to notify the Client’s counterparty of the situation at that time. Once the Client Asset account is closed/withdrawn, all remaining balance (which includes charges and liabilities owed to OCNEX) on the account will be payable at once to OCNEX. Upon payment of all outstanding charges to OCNEX (if any), the user will have the reasonable time to withdraw all funds from the account. OCNEX maintain full custody of the funds and user data/information which may be turned over to the authorities in event of account suspension/closure arising from fraud investigations, AML investigations or violation of OCNEX’s Terms (e.g. trading on OCNEX from a sanctioned country). It is the responsibility of the user to abide by local laws in relation to the legal usage of OCNEX services in their local jurisdiction. Users must also factor, to the extent of their local law all aspects of taxation, the withholding, collection, reporting and remittance to their appropriate tax authorities. All users of OCNEX and any of its services acknowledge and declare that the source of their funds come from a legitimate manner and are not derived from illegal activities. OCNEX maintain a stance of cooperation with law enforcement authorities globally and will not hesitate to seize, freeze, terminate the Client Asset Account and funds of users which are flagged out or investigated by legal mandate. OCNEX services are offered only on the digital domain, which is subject to risks including offensive attacks. OCNEX shall not be liable for any Loss caused to the User’s account or the monies or cryptocurrencies accrued therein if the same arises due to any Force Majeure event, including commissions or omissions by third parties, forces of nature, offensive attacks on OCNEX servers or on the personal devices of the users, changes in applicable Law, or any Loss caused by conditions or events beyond the reasonable control of OCNEX. The above limitation on liability includes any Force Majeure event set out hereunder including acts of god; fire, act of terrorists, act of civil or military authorities, civil disturbance, war, strike or other labor dispute, interruption in telecommunications or Internet services or network provider services, failure of equipment and/or software, other catastrophe or any other occurrence which is beyond reasonable control of OCNEX; offensive attacks including virus attack, hacking, denial of service attack or theft of the personal devices of the User resulting in Loss to the account. OCNEX processes all personal information in accordance with applicable law and regulations relating to the processing, Privacy, and use of personal data in terms of the: GDPR (as applicable to the Client and/or Services provided under this Agreement) (‘General Data Protection Regulations’). For the purposes of GDPR, the Data Controller is OCNEX in relation to any personal data (as defined in Maltese Data Protection Laws, and GDPR) provided by or held in connection with the Client. OCNEX may collect, hold and process personal information about the Client from the way in which the Client engages with OCNEX (such as by ﬁlling in the Application, placing Orders, or if the Client contacts OCNEX by post, email, telephone, in person or by any other means), through the Client’s interactions with OCNEX and/or Services that the Client holds or takes out with OCNEX. OCNEX and copy of which may be provided in hard copy to the Client free of charge upon prior digital/electronic request. OCNEX has security procedures covering the storage and disclosure of the Client’s personal information to prevent unauthorized access of any Client personal information and to comply with GDPR. Neither party may disclose to any person any information relating to the business, investments, finances or other matters of a confidential nature of the other party of which it may come into possession in connection with this Agreement and its performance by the other party, and each party shall use all reasonable endeavors to prevent such disclosure, except as may be required by any applicable law, rule or regulatory, law enforcement or tax authority. For the avoidance of doubt, OCNEX may be required to disclose information to third parties in order to carry out fraud-checks, and the Client expressly consents to such disclosure. If the Client has any complaints, feedback or questions, the Company may be contacted via support@ocnex.io and we will in our best efforts try to resolve the issue with expediency. OCNEX shall not provide any support services to walk-in users. The law applicable to the agreement between the User and OCNEX, the subject-matter of which are the services provided by OCNEX within the OCNEX Platform, under the terms specified in the Regulations, shall be the Maltese law. All and any disputes related to the Services provided by OCNEX shall be resolved by the competent Maltese Courts of Law. The User who is a consumer also has the option of using the EU ODR Internet platform. The Maltese Government has recently endeavored to promulgate and enact three bills entitled: ‘The Virtual Financial Assets Act’ (VFA Act) the ‘Malta Digital Innovation Authority Act’ (MDIA Act) and the ‘Technology and Service Arrangements Act’ (TAS Act) with the main aim of genuinely transforming Malta into: ‘Blockchain Island’ – an innovative and geographically strategic hub providing the first set of Laws regulating primarily (but not limited to) Virtual Financial Assets, VFA Exchanges and Initial Coin Offerings (ICOs). The much anticipated VFA Act is scheduled to become ‘law’ onthe1st day of November 2018. Since the operation of a VFA OTC Trading Platform & VFA Exchange fall under the Second Schedule of the VFA Act [and are specifically classified as a VFA Service], the ‘services’ require a license to operate in terms of the new proposed Virtual Financial Assets Act, 2018. The overall operation of an OTC & VFA Exchange platform benefits from a Transitory provision which is that of twelve months. In other words, this means that both platforms may be created without hesitancy, but the application must be filed with the Competent Authority within the twelve-month period of the coming into force of the Law. Once the application is filed, the platforms may continue to operate normally until Licensing confirmation/feedback is given by the Competent Authority. In any event, until the License is fully issued by the MFSA, the Authority will expect all platform operators to comply with the rules and regulations of the platforms on a ‘best effort’ and ‘best practice’ basis. In this regard, the following prospective Terms and Conditions may be revised from time to time by our Compliance team to ensure their reliability and validity accordingly. The MFSA has also recently issued a Consultation Paper pertaining to ‘the Virtual Financial Assets Regulations to be issued under the Virtual Financial Assets Act’. Any person shall upon submission of an application for the granting of a license irrespective of whether the application is eventually accepted or not, pay to the competent authority the respective fee as established in the Act. In this connection, operators of an OTC Trading & VFA Exchange Platform will be expected to apply for a VFAA Class 4 license specifically dealing with License holders authorized to hold or control clients’ money & to operate a VFA Exchange. In this connection, OCNEX endeavors to obtain the necessary license in accordance with all the rules and regulations found in the Virtual Financial Assets Act, 2018.